A well-stocked general craft shop that supports good local craft with a special interest in products made from waste. Stock includes items made from glass, fabric, metal, paper and alien vegetation, some so ingeniously well made that their origin as waste is not always apparent. It promotes good local craft and design and use craft for job creation, cultural and social diversity, sustainability and environmental protection. 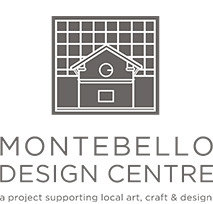 The Montebello Craft Shop's objective is to provide market linkages for many township and rural craft projects and individuals. It aims to break even on its administrative and staff costs and profits put back into expanding craft and design marketing opportunities to more projects and individualsmaterials and weeds. from Friday, 1 June to Sunday, 3 June and will reopen at 1pm on Monday, 4 June 2018.